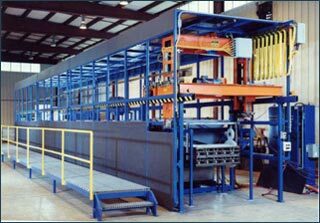 Modular Construction Systems are preassembled at the Aqualogic factory. Modularization includes plumbing for water, steam, and enclosed drains. 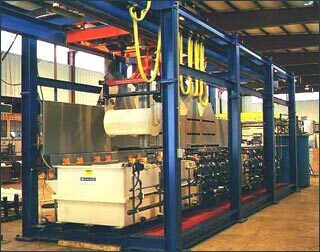 Electrical wiring is completed for programmed hoists, temperature controls, solenoids, level controls, and timers with junction boxes between sections. Systems are assembled and tested forv customer approval prior to shipment.